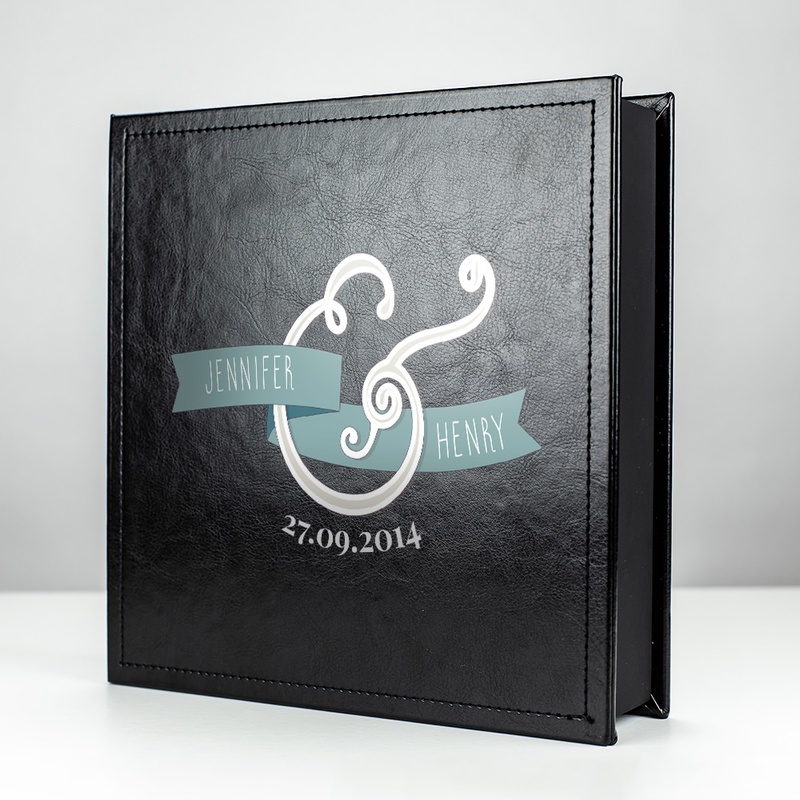 Memories keep their picture perfect splendor with the Impression photo and wedding USB box in black leather. 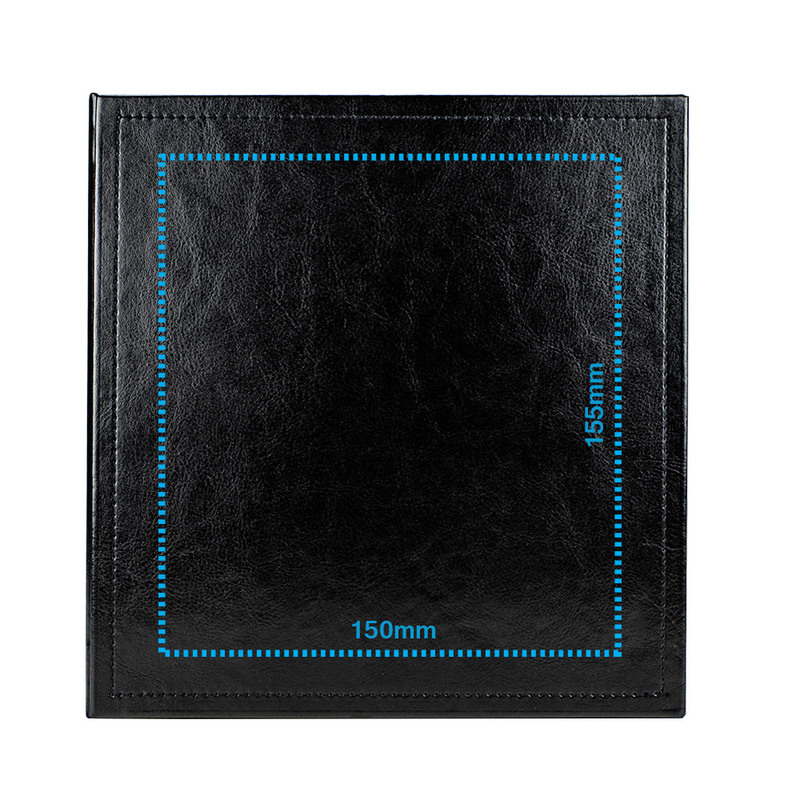 The cover is made of smooth, attractive black leather and stitched with a border frame to make it pop. It stores up to 150 5 x 7 photographs neatly tied with a matching black cotton ribbon and securely keeps a custom wedding flash drive snug beneath black elastic in a separate compartment. The included riser can be used to store 100 photos or less. 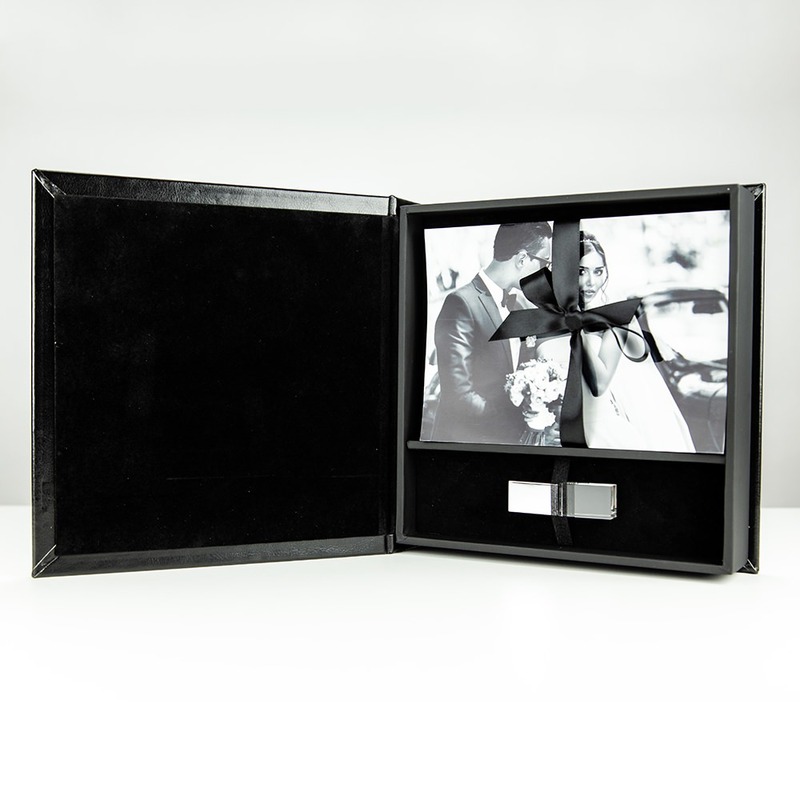 The Impression is a great wedding photography USB packaging option due to its ample storage space, elegant aesthetic, and luxurious features. 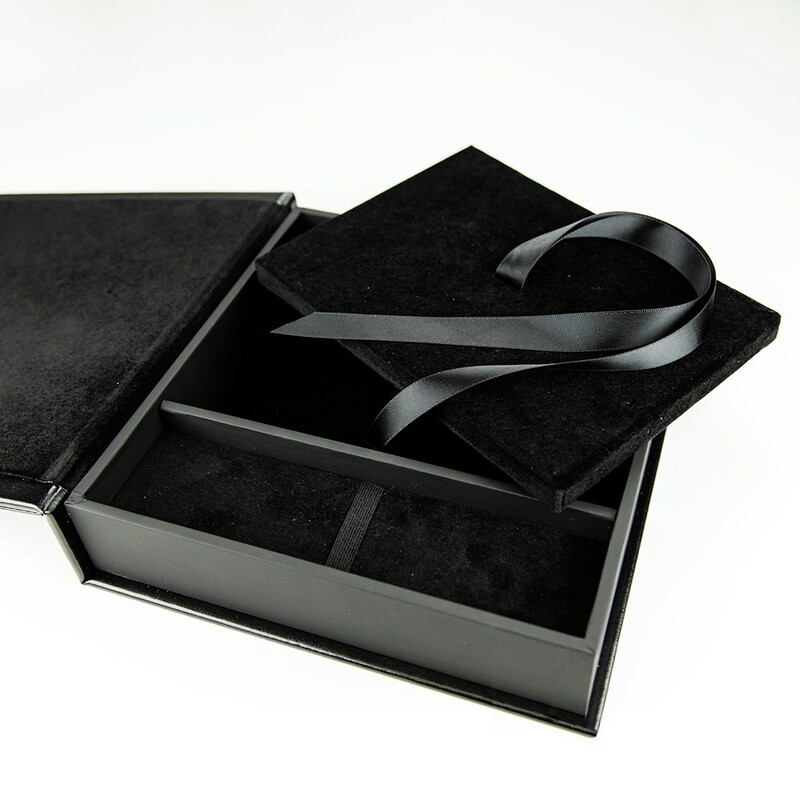 The box holds a flash drive and 5 x 7 photographs (up to 150, depending on photo thickness) in separate compartments lined with matching black velvet and keeps its cargo secure with ribbon ties and elastic bands. It looks, feels and performs high end. This box is perfect for clients who want to make a bold statement.